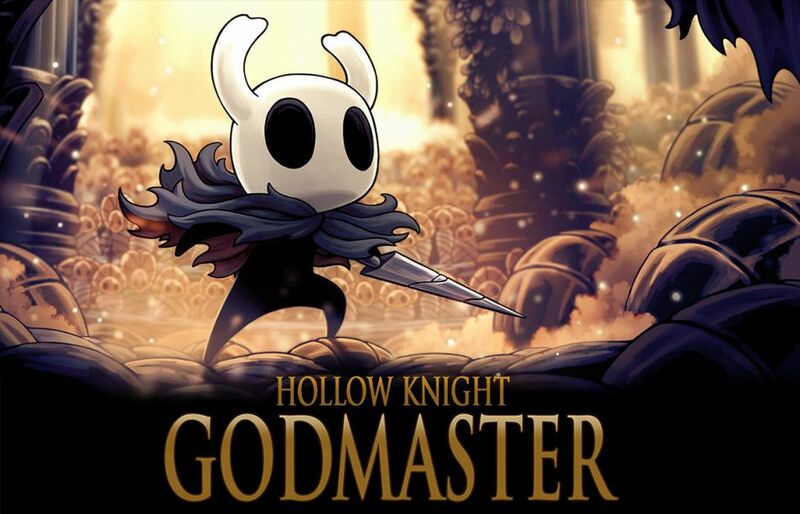 Hollow Knight is now finished as Hollow Knight: Godmaster was just released as the final chapter of the Knight's story. It was originally going to be called Gods & Glory, but they changed the name of this final update. Explaining the reason for the name change, the developer said it's so that it "doesn’t conflict with the title of a certain mobile game, made by a very large, very powerful video game company". Hollow Knight: Godmaster is the final chapter of the Knight's story and the hugest content pack by far! Meet all-new characters, take on all-new quests, hunt for all-new secrets, and most of all, prepare yourself for an incredible battle to take your place once and for all amongst the gods of Hallownest! As if I needed more excuses to jump back into this wonderful game. To celebrate the release, the game has also just gone on sale. Grab it from Humble Store, GOG and Steam. I'm going to buy it with the money I refunded from Doom. Looking forward to dying several times. Spud13y I'm going to buy it with the money I refunded from Doom. Looking forward to dying several times. Why did you refund Doom? It's the moment to finally start the game! I'm one of a very small amount of people who couldn't even get it to launch. It couldn't find a config file that needs to be generated by at least going to the menu, judging from my research. I've tried using others online, but it didn't work. Since this is two-days new, there's no work around. It's $20, so if it does get fixed in a month or so I would buy it again. DROOL! NOW I can finally finish this game and feel like it's finished, lol. Finally, I can play. Looking forward to it. It's not working for me in Ubuntu 18.04. It crashes immediately after a second or two. Seems to be happening to quite a few folks. Good to know, because I am thinking about getting it as well. I often forget about the ability to refund since I don't think I've done it before. Cyril It's the moment to finally start the game! Haha. I played the original campaign and loved every minute of it. I have been waiting for all the DLC to land before going through again. I am jealous of you getting to play it with new eyes!